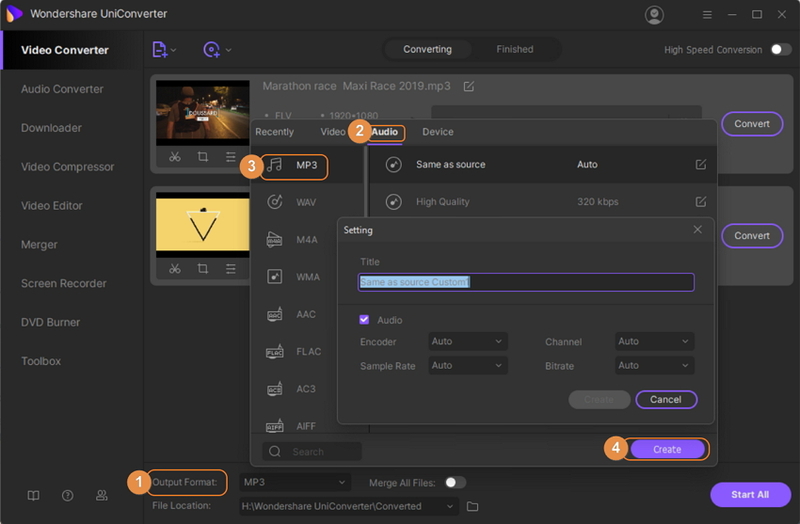 Convert FLV files to MP3 online for free now. Select MP3 as the output format you want to convert FLV file(s) to. Flash Video or commonly known as FLV file, is the popularly used format for embedding videos over the Internet. If you have downloaded a number of online tutorials, lectures or other content from YouTube or other sites in FLV format, playing them on the go over different devices will be a problem. So if you are mainly concerned about the audio part of the FLV file, you can convert it to an audio format like MP3. When you convert FLV to MP3, you can listen to your content on your mobile phone, audio players, and other devices. The conversion also creates additional storage space for your other important files. 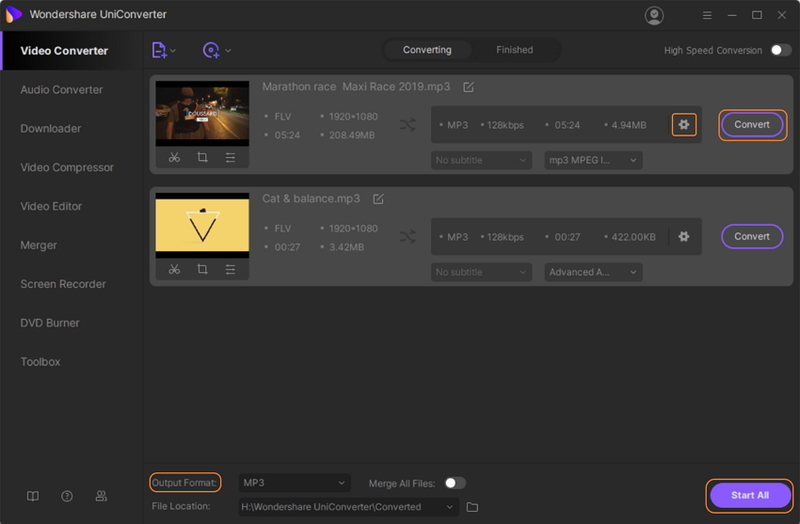 A good FLV to MP3 converter will do the needful task and Wondershare UniConverter (originally Wondershare Video Converter Ultimate) is the top rated program in this category. Working smoothly on Windows and Mac system, the software allows lossless quality conversion at 30X faster speed. Get the desired conversion through Wondershare FLV MP3 video converter by following below steps. Step 1: Download, install and launch Wondershare FLV to MP3 converter. Download Wondershare UniConverter (originally Wondershare Video Converter Ultimate) on your PC/Mac. Follow the guided instructions to simple installation. Once the program is installed, just open the program on your system. Step 2: Load FLV videos. By default, the software opens in the Convert > Converting tab. Select +Add Files that will allow browsing and adding FLV files from the computer. Alternatively, you can also drag and drop FLV files into the FLV to MP3 converter directly. Step 3: Select MP3 as output format and edit file parameters. Click the inverted triangle next to the Convert all files to: option. From the new window, select MP3 and desired audio quality from the Audio tab. Click +Create Custom that will open the Setting window for making changes in Encoder, Channel, Sample Rate and Bitrate value. Click Create after values are selected. Step 4: Convert FLV to MP3. Finally, at the Output location select the convenient folder on your PC/Mac where you want the converted MP3 file. Select Convert All to start the process of FLV conversion. There are a number of FLV to MP3 converters online available as well. These online tools do not feature professional and expert functions like Wondershare UniConverter (originally Wondershare Video Converter Ultimate). 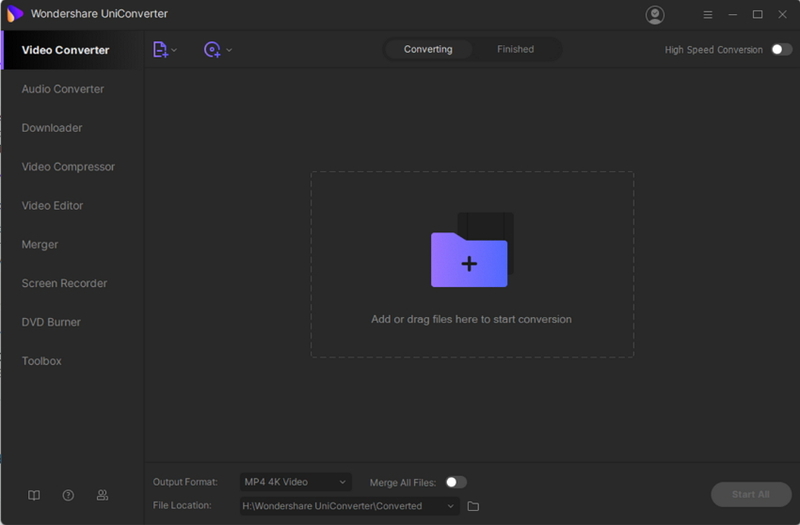 So install UniConverter (originally Wondershare Video Converter Ultimate) and start converting your files without any worries.